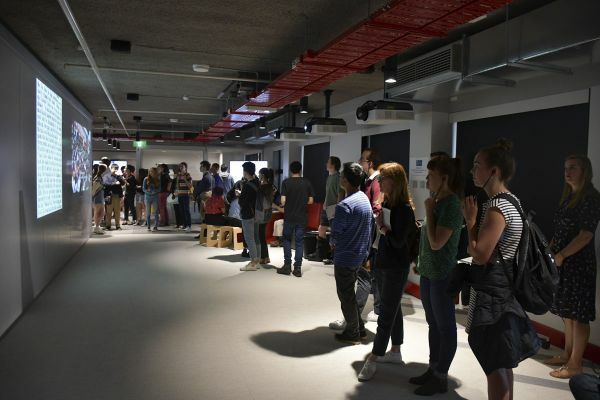 The Exhibition Space can be used to showcase work produced in the Digital Humanities or for events, such as launches. 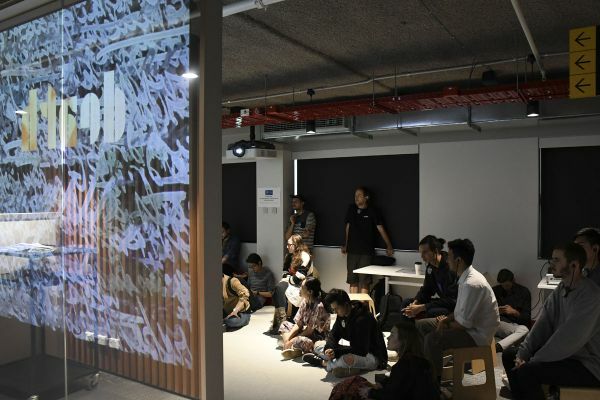 Before booking this space please email digital-studio@unimelb.edu.au to discuss your requirements. 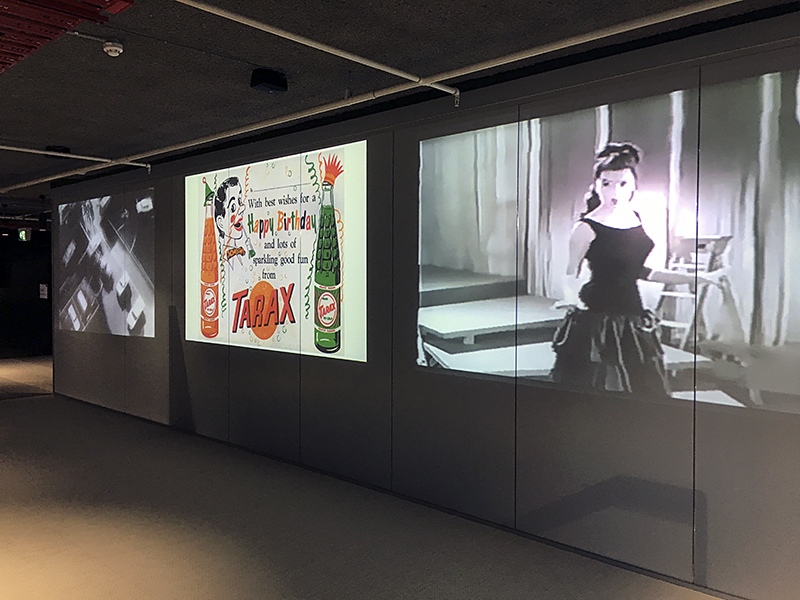 The projection wall has three projectors that can display independent content, as well as a single floor projector. This content is managed through a content management system and must be coordinated by Digital Studio staff. There is no local PC or lap-top connectivity. Audio content can be broadcast through the space using a range of devices, or to a set of 20 headphones. These headphones have 7 channels for audio content.